2014 was the year the unthinkable happened when the Ebola virus entered the United States and millions of Americans scrambled to buy face masks and bottles of bleach. It was the year that more and more Americans saw their incomes continue to drop and the world shaken by the actions of a group of terrorists calling themselves ISIS. Among the top stories of the year are lessons for preppers and survivalists everywhere. 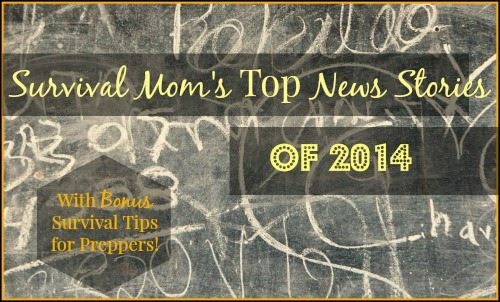 Enjoy my list of the Top 10 News Stories of 2014 and my tips for preppers. It wasn’t your imagination. Earthquakes around the world were some of the top stories in 2014. In fact, there were more than twice as many large earthquakes, those measuring 7.0 and above, in just the first quarter of 2014 when compared with the average over the past 35 years. Even random places like Ohio and Oklahoma saw their share of earthquakes, albeit much smaller ones. For Preppers: Earthquakes can happen just about anywhere in the world, and it makes sense to know some basic earthquake survival. You can read my articles, “How to Prepare For an Earthquake”, this list of 23 tips to prepare for and survive an earthquake, and “Not-Just-for-Alaska Earthquake Survival”. Be sure to train your kids in earthquake safety so they know what to do and ask to see their school’s emergency plans. You should know several evacuation routes to and from your home. Be prepared to walk to safety if roads become impassable. That involves being at least moderately physically fit, equipped with comfortable and sturdy walking shoes, and emergency kits for the car, home, and workplace. Those kits should contain enough supplies to last for several days. Throughout 2014, drought continued to plague large portions of the country. Especially hard hit were Texas, Oklahoma, Arizona, Kansas, New Mexico, Nevada, and California. In fact, the entire state of California is experiencing the worst drought in over 1200 years, according to a tree ring study. That drought, along with higher than usual temperatures, has resulted in less agricultural, livestock, dairy, and poultry production and the accompanying unemployment of thousands of workers. For Preppers: It’s impossible to prepare for a long-term drought. American history is filled with examples of ancient people who simply disappeared from a region, most likely due to lack of water. Do store as much water as you can. If it’s kept indoors, make sure it’s either in the basement or on the main floor of the house, never upstairs due to its weight! Learn and practice water preservation, including dry farming techniques. Worst case scenario solution: move. The extent and effects of a very long-term drought are unpredictable. If your living situation allows, research areas with plenty of groundwater and rainfall and begin making plans to relocate. Stories and headlines filled with questionable “facts”, non-stop coverage of over-hyped events, and unapologetically biased coverage have created a surreal version of reality. Competing news organizations claim to give us unbiased facts, but then those facts collide with each other, political alliances of journalists are exposed, and consumers are left even more confused. For Preppers: Resist the urge to opt out when it comes to staying informed. Instead, learn how to separate fact from fiction when it comes to stories in the news and retain a degree of skepticism. Realize that money is the driving factor and that news organizations will always follow after stories that will result in the most listeners/readers/viewers. A red flag should go up when a story is in the headlines and is dominating the news and then suddenly disappears. See #1 story, Ebola. Do get information from multiple networks and news agencies, including alternative news sites. Be aware that propagandists have always used images to further their message. Watch out for the selective use of images that generate strong emotional responses. A well-prepared person is an informed person! North Korea hacked Sony’s website and released enormous amounts of embarrassing information, or did they? Was it an insider who leaked the emails? Hard to tell, but from my perspective, it’s a reminder that if a hostile country can hack into the computer system of an entertainment network, it can do the same to banks, government, power stations, and our communication system. For those of you fearful of an EMP, a cyber-attack on our power grid would have the same results. Sony’s hacking also illustrates that nothing online is truly secure, something else for preppers to keep in mind, always. For Preppers: Cyber warfare is part of our 21st century reality. As much as I personally love using the internet, I’ve become aware that I need to begin moving away from my dependence on it. How can you begin, or continue, developing a more self-sustained lifestyle that isn’t so dependent on outside sources of food, clean water, and other supplies? Track your dependence on the internet, whether for personal finance, communications, entertainment or anything else. In each area, take steps to move away from that dependence. Use social media only if you absolutely have to, and even then, keep personal information and photos to a bare minimum! There’s no point in putting out more information than is already being taken without your permission or knowledge! Huge companies that included Target, Home Depot, Kmart and even PF Chang’s had their data systems compromised by hackers this year. Millions of credit and debit card numbers were stolen, sometimes with their PINS, and even millions of email addresses were acquired by these cyber criminals. In each case, the hackers were one step ahead of the retailers, who spend millions securing their information! In the case of Target, “The attackers initially found their way in via Target’s HVAC contractor…”! Keep in mind that once a thief has your debit or credit card number, they can go on to make purchases online and never have to actually use the card itself, and there’s no need for them to have your PIN! For Preppers: These events are yet another reminder that anything transmitted electronically is vulnerable. Pay with cash whenever possible. Dave Ramsey’s envelope system isn’t just a great way to stay on budget but it also forces less dependence on the use of electronic payments. Some stores accept Paypal, which keeps your debit/credit numbers stored on their servers, but even Paypal isn’t immune to hacking. If you must use a debit card, process it as a credit card. This almost always requires a signature and the amount of purchase isn’t immediately deducted from your account. Since hackers have also accessed millions of email addresses, be very wary of emails coming from retailers, especially those you know have been hacked. Never click on the links and if you really want to check out the information or special offer within the email, go directly to the retailer’s website. Keep up to date with bank statements. Often, thieves will make small purchases, hoping you won’t notice. In time, they’ll circle back and make larger purchases/withdrawals. Check your credit report at least once a year to make sure that no unauthorized accounts or loans have been opened in your name. Crazy winter weather hit parts of the country that rarely see snowfall. This resulted in millions of unprepared families dealing with power outages and being stranded miles from home. 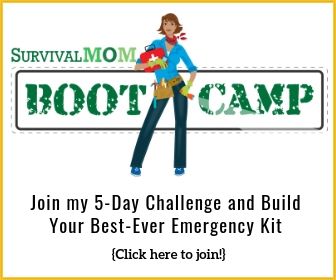 For Preppers: Just about any weather condition can hit your area. It may be called “unseasonable”, but it’s pretty amazing how often “unseasonable” weather happens! Continue to prepare for the most likely extreme weather events in your area but give some consideration to things that rarely occur, such as a snow or dust storm. Stay up to date with local weather reports. Utilize technology to your advantage with weather apps for your smartphone, if you have one. Again with the smartphones, Red Cross has some outstanding apps that provide alerts for all kinds of weather and natural disaster events. 4. Lower income and standard of living for an increased number of Americans. That continues to be the case. Pew Research reports that America now has the widest wealth gap it’s had in 30 years. The richest have recouped most or all of their losses due to the 2008-2009 Great Recession and have rebounded in a very big way. However, there has been none of that for middle- and lower-income families. In fact, the opposite is true. There has been no recovery for these millions of individuals and families. Factor in skewed statistics from the federal government, and the full impact of the Great Recession remains blurry, except to those hardest hit. Preppers continue to face the challenge of being prepared but on less and less disposable income. For Preppers: Take your focus off what survival experts say you must have and what you must buy. 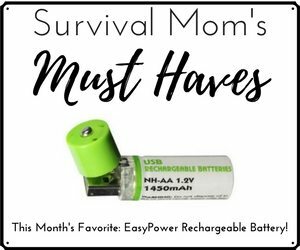 Far too many survival websites exist solely to foster fear and, not coincidentally, sales from their sites. Prepare as much as possible by bolstering your knowledge and skills. Then look for ways to earn money by teaching what you’ve learned. Check out my list of preparedness items to look for whenever you go to a thrift store or yard sale. Be sure to print out the list so you’ll have it handy! Do try to save money. Join my 52 Week Savings Challenge group on Facebook, and if you don’t do Facebook, and I don’t blame you, then take on this challenge at home with your family. Watch for a list of monthly bargains that will be posted on my website the first week of every month. 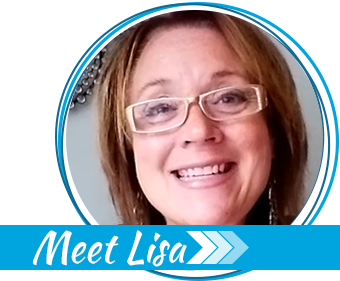 I want to help you become better prepared by living more frugally! Take advantage of Amazon’s many free ebooks. You can read them directly from your computer. There’s no need to own a Kindle or other e-reader. 3. The growing threat of ISIS and radical Islam. For the most part, the large terrorist group calling themselves ISIS, or sometimes ISIL, is thousands of miles away, yet their influence is seen here in America. Reports and images of Americans being savagely beheaded have affected us and the tepid response of our government and enraged many of us. Many Americans consider a terrorist attack to be at the same level as 9/11, and this belief is fostered by a government that prefers euphemisms over reality. The truth is that far more terror attacks are committed by a single individual or a very small group against an individual or small group of people. It’s not all planes flying into skyscrapers. For Preppers: It’s important to stay informed and up to date with news, but dig deeper and don’t rely on the major news networks and agencies. Too often, stories that aren’t politically correct are buried. The murder of Brendan Tevlin is just one such story. Live by the motto “You’re On Your Own”, YOYO. If a government agency or charitable organization offers real help, then you’ll be pleasantly surprised. Practice situational awareness everywhere you go. Teach this to your kids and grandkids. Be especially aware when you are in large groups of people or near streets, since there have been reports of drivers intentionally plowing their cars into groups of innocent people. Concealed carry is a good thing, accompanied by frequent practice sessions at the range. When Michael Brown was shot and killed by Ferguson police officer Darren Wilson, it wasn’t your everyday event. For multiple reasons it became a literal firestorm. The media made sure it played its part in exploiting emotions, which, in turn, exploded on the streets of Ferguson and beyond. Response to rioters was nearly non-existent, with officers standing by while businesses and cars burned. For Preppers: The riots in Ferguson are a great example of how a local event can go national, bringing with it danger and damage. I wrote about staying safe during civil unrest and made a video on the same topic. Both can be found in this article. “15 Tips for Staying Safe During Times of Civil Unrest” is another bit of information from my blog. Stay aware of local news and national stories of riots that seem to be spreading to other cities and states. Nothing beats not being in the wrong place at the wrong time. Keep your eyes open and be ready to leave an area that gives off bad vibes for any reason at all. In addition to situational awareness, taking self-defense classes designed for urban survival would be a good investment. The Ebola virus epidemic in West Africa made headlines here in the U.S. and is now the largest outbreak in history, according to the CDC. As of December 21, 2014, there have been 19,497 total cases reported and 7,588 deaths. At first, many of us were keeping an eye on how the disease was spread and who was becoming infected. It was disconcerting, to say the least, that doctors, nurses, and other healthcare workers were dying of the virus in very high numbers. Still, the virus was over there. In Africa. When Thomas Eric Duncan entered the United States from Liberia, Ebola came with him. In spite of the best efforts of the staff at Texas Health Presbyterian Hospital in Dallas, Duncan died, and a short time later, 2 staff members at the hospital tested positive for Ebola. By now, the country was in near hysteria. Ebola headlines were plastered across the internet, with fewer stories in much of the mainstream media. Sales of items like face masks, medical gloves, and bleach soared, and there was a new interest in the world of the preppers. The response by the federal government was confusing but when an “Ebola Czar” was appointed, every story related to Ebola suddenly disappeared. Claims of a false flag just add to this surreal story. So, were there more Ebola deaths? Are there any current Ebola cases in the U.S.? It’s impossible to know. For Preppers: It defies logic to believe that this virus disappeared overnight, with not a single new case, nor even a follow-up press conference from the CDC to declare victory. Different scenario, same lessons. You’re On Your Own in a crisis, so stay aware, plan and prepare accordingly. Preparing for a future pandemic makes a lot of sense, especially since the same supplies you would purchase for that event are useful for many other purposes. Personally, here are a few items that I have stocked up on. All from Amazon (affiliate links) because prices seem to be the lowest and the selection highest. Extra bottles of bleach. These have a shelf life, so be sure to start using it up on a rotating basis, starting at the 9 or 10 month mark. Boxes of medical gloves. I keep some of these in my car as well, since they’re handy in any location with poor sanitary facilities and handling a medical emergency. A number of Readi-Masks. These are lightweight and disposable. 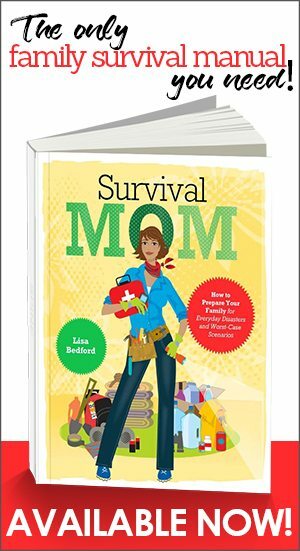 If you are working toward becoming better prepared, in general, then you are preparing for any of the events listed in my Top 10 Survival Stories 2014. Well-informed people are well-prepared people, whether it’s because they have purchased the correct type of life insurance, a generator, extra food, or they keep an emergency kit in the trunk of their car. That’s not paranoia. It’s just being smart. Wow! That is a whole lot of 2014 wrapped up in a nut shell! Great Info! I’m sharing the heck out of it! You have mentioned stocking up bleach in several lists and articles, then warned that it has a finite shelf life. Pool shock (make sure it is calcium hypochlorite) can stay good for a very long time and is very economical. 1 teaspoonful can purify up to 100 gallons of water, and of course you can prepare a stronger solution for sanitizing etc. I do own calcium hypochlorite and understand how it can be used to make bleach. The problem is that it’s actually more complicated than people realize to get a safe mixture, and that has made me hesitant to push that as the greatest thing since sliced bread.